IN FULL BLOOM: Miss Bryan smiles for photographers moments after her big win. Anjell Bryan didn't grow up in the worst community in St. Catherine, but it's not the greatest either. Still, the violence-prone Spanish Town neighbourhood in which she came of age gave the young miss a solid foundation to build on and the fearlessness to chase after her dreams. "I've always been very active in the community, in spite of everything, and as I got older I saw myself more and more becoming a role model for other Jamaican youth," reflects Bryan, who eventually moved to Kingston to attend Ardenne High and subsequently enroll at the University of the West Indies. "I like working hard, regardless of the circumstances, to make a make a difference not just in my own life but in the lives of people around me." Over the course of the next 12 months, Bryan will have ample opportunity to make good on the promise she has shown. 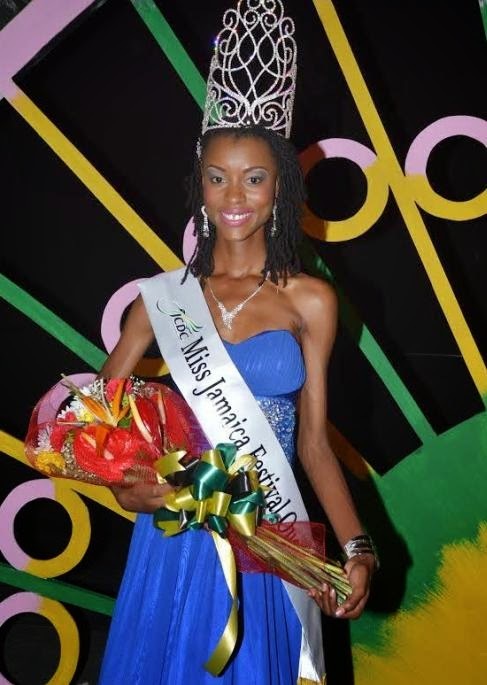 On Saturday, the supremely intelligent and radiantly charming 25-year-old became the latest in a long line of urban girls to cop the Miss Jamaica Festival Queen title (she repped Kingston & St. Andrew), and honour much deserved if her poise and utter awareness are anything to go by. 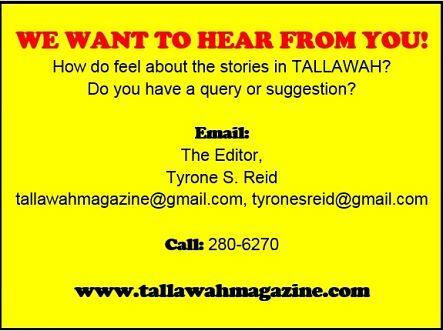 "This is the most amazing feeling ever," she tells TALLAWAH, mere moments after triumphantly exiting the stage, the dazzling crown planted firmly atop her head, an armful of trophies and gift baskets providing a bit of a load. "This title is the perfect platform to achieve some of the goals I've already set for myself, and I can't wait to get started." For Bryan, who is currently employed as a junior staffer at Guardian Life Limited and holds a Bachelor's degree in Economics, there is no ceiling on her plans for the immediate future. Instead, she is content to live in the moment and savour the possibilities. "I'm really looking forward to the Festival activities and all that Jamaica has to offer this year," she says. And when the time comes for her to move on from Guardian Life, a rebound career in the world of journalism could be in the cards. "I definitely want to become a media practitioner," she says, her eyes widening. "I see myself working as a broadcaster but still keeping a very close connection with the JCDC."